Thanks to all our 200+ Followers! 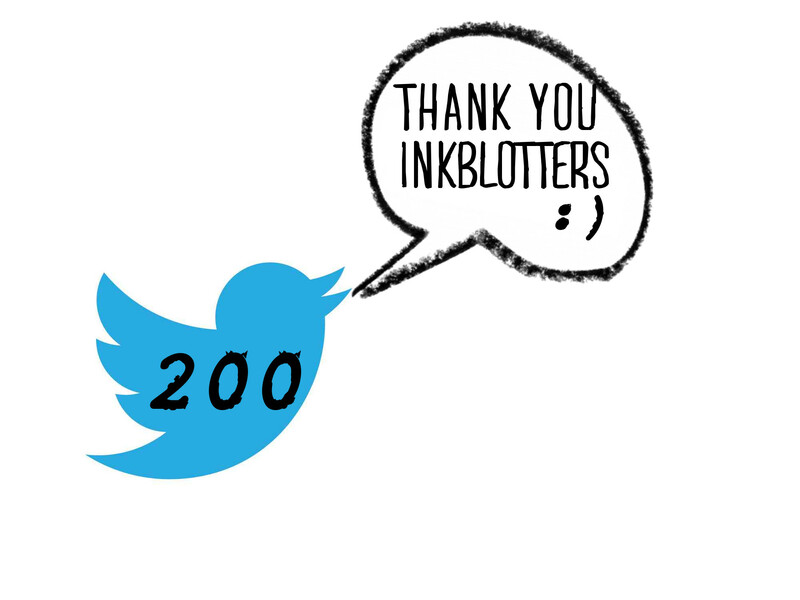 Here at Inkblots, we’d like to share a massive thanks to all you wonderful people who have chosen to follow this blog. We’re a bit biased here, but we think our writers are absolutely awesome, with all the icing and cherries on top. Really, this is why the Inkblots team even exists, as without their writing, we’d still be walking the realms of the no-content-weird-websites out there. So, because Inkblots has just hit a nice milestone mark of 200 – and we didn’t properly celebrate 100 – we’re personally thanking all our writers for their submissions, HHC and Friday Frenzy entries, and of course, we’re thanking YOU the follower! Although we like our writers a lot, we’re also looking to expand our team, so if you or anyone you know has a flair for rhythm and rhyme in poetry, or is an absolute legend at writing short stories, or are just looking for a place to publish their work, get in touch with us at creativewritinginkwell@hotmail.com. Unfortunately, we can’t pay you for your submissions, but we will handle them with utmost care and you will still retain copyright for your work, so you can send them onto other publications as well. And that’s it, yup very short and sweet, though we will leave you with a video that is pretty special and a little derpy. ← Previous Post March – It’s all about the Bunnies!